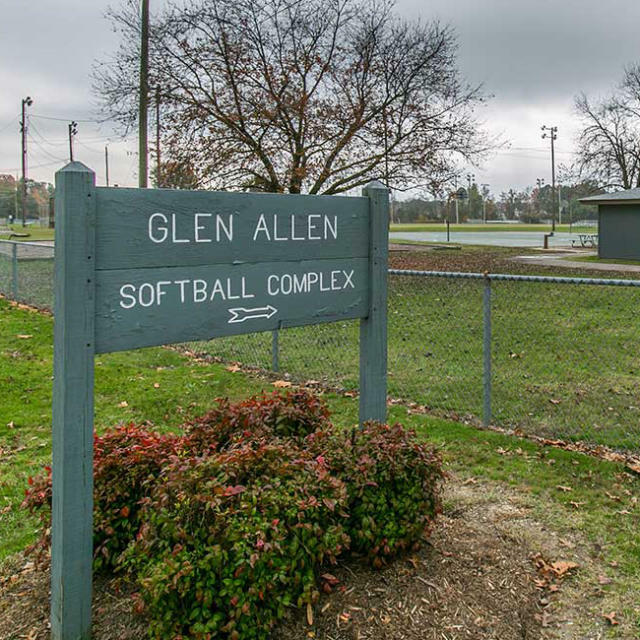 Glen Allen Softball Complex is an adult complex utilized primarily for adult softball and youth baseball games and tournaments. The 2008 12 and under National Championship was held at Glen Allen Softball Complex. The 4 fields are reserved and maintained by Henrico County Recreation & Parks.